Your car's engine compartment is a miserable environment, combining extreme temperature variations and caustic chemicals, roadway dust projectiles and driveline vibrations. And that's the environment where your car's hoses and belts reside. Not much wonder that those rubber components have a limited lifespan! And those rubber components are necessary to keep your car running dependably. 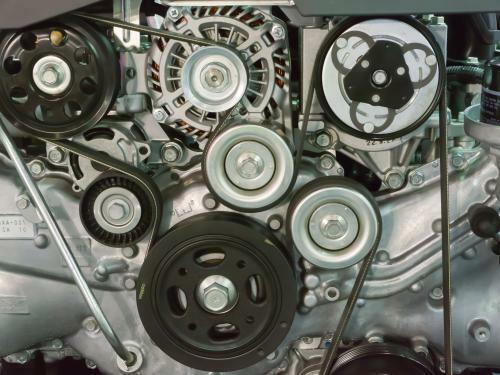 The belts drive your car's critical systems: They pump coolant through the cooling system, keep the battery charged, provide the power to the power steering system, and drive the air conditioning compressor. The hoses connect your vehicle's engine to the chassis, allowing coolant to flow from the engine's water jacket to the radiator and heater core. A blown hose will allow that coolant to leak out, potentially causing catastrophic overheating to the powertrain in seconds. That's why it so important to have your car or truck's belts and hoses checked regularly, and to have them replaced when they become worn. Because new hoses and belts are relatively inexpensive when compared with the costs you could incur if they fail on the road. Not to mention the inconvenience of being stuck at the most inopportune moment, often in a place you'd least like to be stranded. Your local Cottman center is here to help. Their technicians are only too happy to check your car's belts and hoses for wear every time you bring your car in for service. And they'll be happy to show you any wear they discover, and make repair recommendations that'll keep your car running dependably for years to come. When was the last time you had your car's belts or hoses replaced? If it was more than a couple years, give your nearby Cottman center a call and set up a time to bring it in and have them checked. Because the best time to have your car's hoses or belts replaced is before they leave you stranded.